There are broken people in this world. People who want to break others. At the Boston Marathon chaos and destruction was caused by pressure cookers. Pots found in homes across America. Yet filled with nails and ball bearings they become weapons. They create warzones. What motivates someone to do this? I have often wondered what motivates an average person to run a marathon. I suppose it is the pride of accomplishment. Maybe the ability to brag. Or it could be the health benefits. And these things appeal to me – but not enough to send me outside running twenty-six point two miles. Broken people are also motivated to action. I can grasp depression leading to suicide. I can comprehend flying off the handle to murder. Not that either thing would be right, but I have never felt that darkness. Still, what moves someone to commit random mass violence at the Boston Marathon? A sane mind can not understand this act. It is evil. My disdain for running has not changed. I did not like running when I joined cross country. And while running in fields is more interesting than the track, I still did not enjoy the pain. And yet I found myself running everyday. Sometimes ten miles a day. What was my motivation? 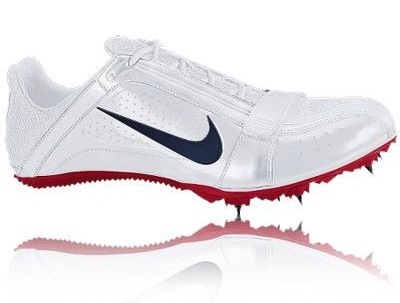 I did enjoying buying my first pair of spikes – which seemed useful to partner with the world saving ninja skills I might develop. Plus we played ultimate frisbee every Friday (a frisbee, while not a ball, is still good to chase). But I joined the team, because someone invited me. I hated running. I was not good at running. I would become the seventh man, who they wished would be more of a man. But sitting in class, not sure where I fit… relationship is motivating. I want judgment. I want justice. I applaud those willing to run into the chaos, the firefighters and officers. I am strengthened to see the community support in the aftermath. Folks opening their homes and providing food. But that still leaves me hanging… when will… where will … the ball drop next? We are reading through Ezekiel. God brings judgment we can barely understand (until we ponder folks who commit these violent crimes). But punishment never seems to create any change. Israel bounces from one correction to the next. Judgment does not work. It does not motivate. And then God’s plan is revealed. He turns the tables by His own arrival. Through the cross and resurrection sin is defeated. Not to say sin is eliminated. But it no longer holds power. And in sin’s place Love holds the power. It becomes the two greatest commandments. Love God. Love your neighbor. Relationship becomes healing. What does this mean? Can we go and make friends and prevent mass shootings and terrorist and … That sounds ridiculous – Hollywood mush. But if we take small steps of loving those around us. REALLY loving. Christ’s sacrificial love. Not judgment from the Old world, but loving with the grace of the cross. So that the neighbor struggling and broken now has a friend. A person to call in their darkest hour… What happens next? We can not know unless the church starts running on the path of Christ. The question is, amidst continual chaos, what will motivate the church? ** I am NOT saying loving relationships can magically overcome mental illness. But loving relationship can be there to help get the person to the doctor – to take their medicine. To realize the person is spiraling out of control and call the authorities. This is not flashy. Our call is not to power, but service. And in small steps help others find redemption. By grace we become the preventative protectors of the world – no ninja skills or running spike required! Love this…..growing up my Dad was super athletic……I like you considered all exercise painful (and still do). But to love God and love people, this I can do. You are right. God doesn’t call us all or maybe even any of us to run a marathon. Just do what He commands…and the commands are simple. Love God, accept Jesus as Lord and Savior, be fishers of men, love our neighbors….REALLY love them..like Christ would…..just stay in relationship and do the next right thing……Thanks for the reminder. I too, needed this today. Miss ya’ll and hope you are all doing well:). You are right, God is not as concerned with us running marathons! Which is part of why this is GOOD news! Ha! Thanks for the message! Always good to hear from you.